The #19 softball team in 4A won a showdown with the #17 softball team in class B Forgan in Guymon Monday. 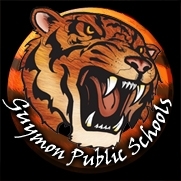 Guymon took two 6-4 and 12-5 to finish their regular season 26-4. Forgan is 19-13. Guymon host Woodward at 2 p.m. Friday to begin the postseason. Here’s the rankings from okrankings.com.